Wizard of Oz – Road to Emerald City is a slot game with a theme based on a fairy tale movie from 1939 of the same name. This slot has three reels and nine active paylines. The reels are set against the magical backdrop of a beautiful view of Emerald city on the yellow brick road with pretty flower gardens on either side. There is a wonderful soundtrack from the movie that creates a positive atmosphere. The wagering limits of this game start at as low as £0.35 and max goes up to £70 each spin. This magical new slot game based on original Oz movie was created by Scientific Games, one of the world’s largest producers of online casino slots and another category of games. They possess rich experience of over two decades and skills that match modern gaming technologies. 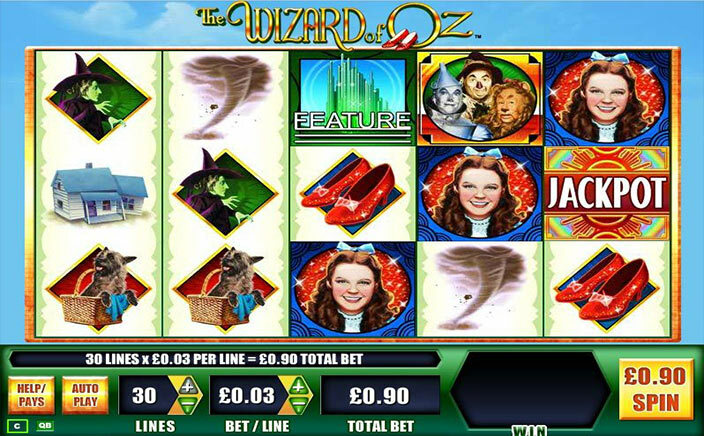 The symbols of Wizard of Oz – Road to Emerald City slots consists of the game logo, emerald city, and red 7 along with single, double and triple bars. The top payout symbol of this slot is the logo with 142 times on your total bet. To win that, you need to land three of them across a payline. There are three bonus symbols. They are the colossal emerald city symbol that covers entire reel, likewise the game logo and the symbol of emerald stone. They help you win enhanced rewards and those big wins. Wild Bonus: Both the colossal game logo and the emerald city symbols are the wilds of Wizard of Oz – Road to Emerald City slots game. They replace all the base symbols except for each other and the green stone symbol as well. Scatter Feature: The emerald stone is the symbol that helps you trigger the bonus levels. Three or more of it can trigger any one of seven bonuses. 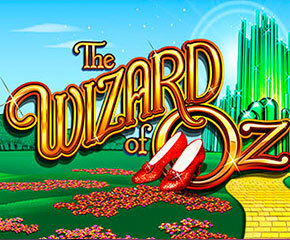 These bonuses are represented by the symbols of Dorothy, good witch Tinman, lion, witch, scare crow and Toto. You can win various multipliers, wilds, free spins, coin wins and jackpots. There are some cash prizes that you can win from them too. With various bonuses to win from and stunning visuals, Wizard of Oz – Road to Emerald City slots is a game that you do not want to miss. Winning in this game is a lot easier than other slots of the same genre.